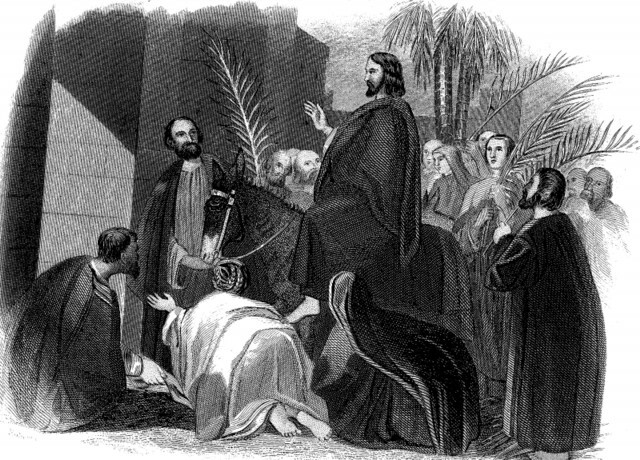 Jesus entering Jerusalem, the Triumphal Entry. This week, we read Mark 11-15 in our five day per week journey through the entire New Testament this year. Chapter 11 begins with mark’s account of Jesus’ triumphal entry into Jerusalem. he then cleanses the temple and further angers the Pharisees. There is also the account of the fig tree that he caused to wither. His statement that it would not bear fruit again is symbolic of His beloved Jerusalem. they had been given the stewardship of God’s word, along with His love and favor. But now their rejection of His Son, was too much. The last account of the chapter is of another challenge by the chief priests, scribes, and the elders demanding to know by what authority He does the things that He has done. His answer is especially shrewd. He will only answer if they tell Him by what authority John the baptist did his baptisms – of heaven or of man. If they answered that it was of man, the people would become angry, for they knew John was a prophet. So they refused to answer. Have faith in God. Truly, I say to you, whoever says to this mountain, “Be taken up and thrown into the sea,” and does not doubt in his heart, but believes that what he says will come to pass, it will be done for him. Therefore I tell you, whatever you ask in prayer, believe that you have received it, and it will be yours. 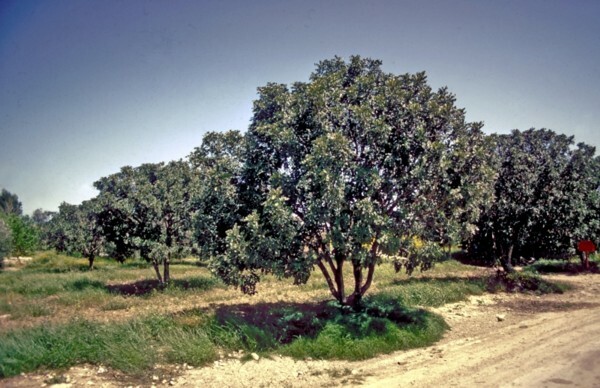 Grove of fig trees, a mature size. So clearly, we are expected first of all to pray according to God’s will. But more importantly, we must examine why we should “move the mountain” in first place. Jesus said in Matthew 6: 33: “But seek first the kingdom of God and his righteousness, and all these things will be added to you.” So following His word, and trying hard to be the “light of the world” and “the salt” that He spoke of in Mark 9:50, must be our primary driving force in life. That’s is easy to say, but hard to really do. At least as important, and possibly more so, is the lesson Jesus gave to the apostles in that same chapter, when they were arguing about which of them was the greatest. In Mark 9:35, He told them: “If anyone would be first, he must be last of all and servant of all.” Jesus taught that being righteous in His kingdom is not about one’s self. It is about how we can serve others in order to help carry them to heaven with us. And that, my friends, is the hardest part of all. Knowing this then, when we pray for the mountains” that we wish to move, we must ask ourselves how, in doing so, we might be able to put others first, build someone up, and nurse them along life’s journey and into His kingdom. Jesus was the King they had waited for so long to come. But they missed the fact that He was to be the greatest servant — the “Suffering Servant” of Isaiah 53. By following his example, and becoming a servant to others, there is truly no mountain we cannot move from faith in our prayers.